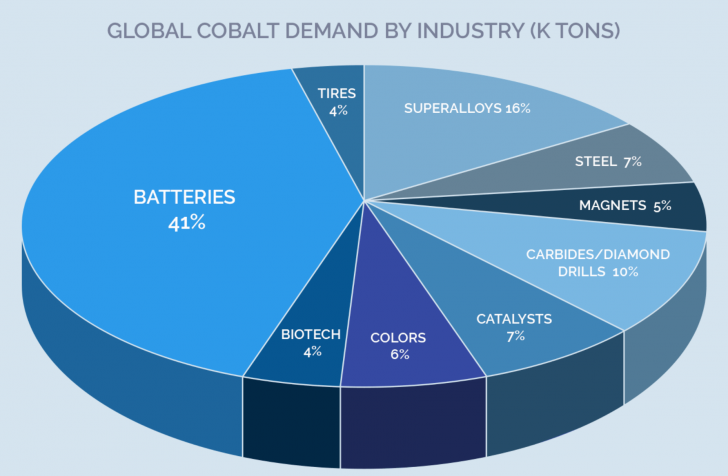 The global cobalt supply is reducing, and it can be a blocking factor in the mass production of affordable electric vehicles. The market will only continue to grow since many countries have plans on banning vehicles with internal combustion engines. As demand increases, more and more cobalt is required for automotive batteries. Over the next 8 years, the demand is expected to double to 225,000 tons per year, announced the Institute for Geosciences and Natural Resources (BGR), an agency of the German Federal Ministry of Economics and Technology. The price of the mineral has grown significantly in recent years. If the problem is not resolved, the production of EV will become more expensive and it can slow down a lot. The most abundant place for commercial mining of cobalt is the Democratic Republic of the Congo (DRC), which is known for corruption and human rights violations. Therefore, many children are working in mines. Some companies like Apple and Samsung have joined the Responsible Cobalt Initiative, which is trying to resolve and address the environmental and social consequences of the supply chain and its consequences on child labor. Because of these reasons, Panasonic is concerned about the problem and has already reduced the cobalt content in their automotive batteries by 10% in recent years. Additionally, if we compare the average amount of cobalt used in Tesla(Panasonic batteries have been used from the beginning) 6 years ago and now we would notice that it has reduced by 60%, from 11 kg to 4.5 kg per car. Yoshio Ito, the chief of Panasonic’s automotive business, has stated that it has already achieved to create a cobalt-free battery, but only at a research and development level.“But we need to go through various evaluation processes” before mass producing them, he said. Toyota Finally Venturing Into Lithium-Ion Batteries, In a Big Way! These guys like us. Do you?